Consumers will always need to go to the dentist no matter where they live or what their gender or race is. Three main types of dentistry exist: routine, emergency and cosmetic. Some people may refer to routine dentistry as maintenance or preventive dentistry. 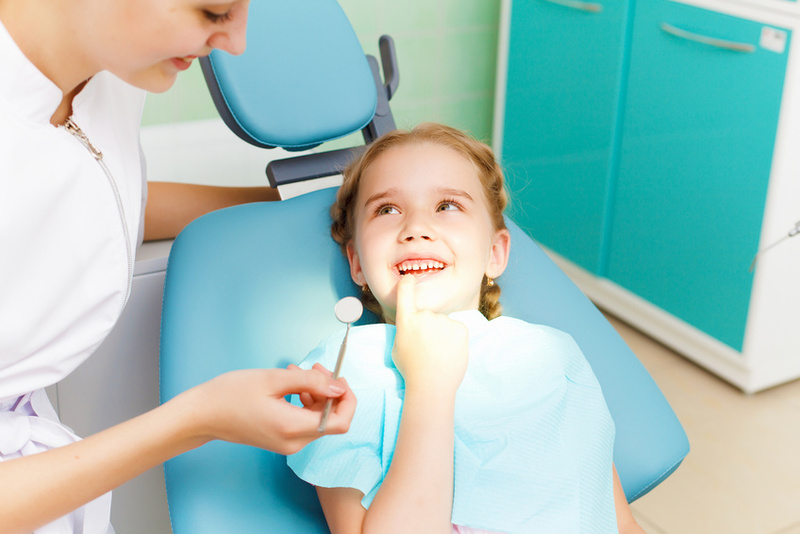 The field includes various processes and procedures that help clients to avoid getting cavities and tooth decay. An example of a maintenance procedure is a tooth cleaning. A person should come in for regular tooth cleanings at least once every three months. Two times per year is acceptable, however. Emergency dentistry consists of visits that a person has to take when painful symptoms or accidents occur. A person would need to have emergency dentistry after an auto accident or fight in which a tooth came out, for example. Another reason that a person may need emergency dentistry is if he or she loses a filling or has severe pain in the tooth that prevents him or her from working or enjoying everyday life. Such usually occurs when a patient needs major surgery such as a root canal or an extraction. Pain from an infected tooth can spread to other areas of the body such as the neck and the eyes. Finally, cosmetic dentistry is the last type of dentistry for which a person may need to call a local office. People refer to that field of dentistry because it is not mandatory or necessary for a person to receive it for health purposes. Dental patients mostly obtain those procedures because they want to create a better surface appearance to their smiles. For example, a person may request dental veneers to cover up severe staining or slight crookedness. Dentures may work for a person who has survived a severe accident. A dental implant may be an option for a person who does not want full or partial dentures. Implants are better for long-term security. Dentures have a life span of only about seven to 10 years, but dental implants can last a lifetime. No matter what type of dentistry a person needs, he or she will want to schedule something at a local facility. Ronald Receveur is a professional who will be delighted to provide a consumer with the previously mentioned dentistry type. He is compassionate and has experience with just about every type of tooth problem. His goal is to increase the quality of life for every patient who walks through the doors. Interested persons can contact the facility today. Financing is available for people who do not have the cash at this time. 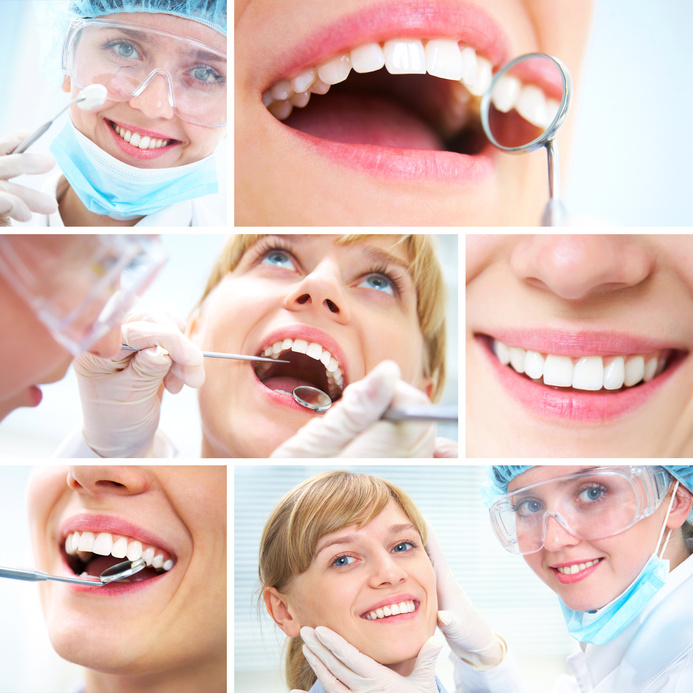 A third-party company can cover the expenses that the person has on the dental procedure. The client may be able to make low monthly installments of approximately $25 with that plan. The credit limit that the person has depends on his or her credit history. People with “good” credit scores can receive credit lines for several thousand dollars. The person can have a dentist perform major dental work with that kind of money. Brushing twice a day can do more than just prevent halitosis. Research has shown that there exists a ’mouth-body connection’ which links your oral health with your systemic health. If you have any of the five conditions listed below, it may be time to pay your dentist another visit. There’s a strong link between dental health and diabetes. Bacterial build up on your teeth can make the gums more susceptible to infection. They become inflamed and in worst cases, can lead to a condition called periodontitis. This inflammation in the gums weaken the body’s ability to control blood sugar. It hinders your ability to utilize insulin, a hormone diabetics already lack. Worse yet, as blood sugar levels increase, it creates favourable conditions for infections to grow, including gum disease. By preventing one condition you’ll help prevent the other. Your teeth and your heart may not seem very connected, but they are–by the oral pathogen Porphyromonas gingivalis. This bacteria creates an inflammation of the gums. When immune cells arrive, it attaches to them with its long, finger-link projections and makes them ‘sticky’. Immune cells soon collect in blood vessels with other cells, leading to atherosclerosis (a condition where the artery wall thickens from accumulating white blood cells). This can then lead to various heart conditions including strokes, heart attacks, or claudication–a difficulty in walking often accompanied by pain or discomfort in the legs. A mother’s health during pregnancy is directly linked to the health of the fetus. It’s no surprise then that poor oral hygiene of the mother can impact that of the child. Gum disease during pregnancy can increase your child’s risk of early childhood caries (ECC). ECC is a bacterial infection that can cause decaying or missing tooth surfaces in children under six and can be transmitted from the mother to the child during pregnancy. Lung problems, such pneumonia or bronchitis, can be aggravated by gum disease. Studies have shown, especially in elderly populations, that gum health equals lung health. When you inhale, bacteria from a gum infection can travel into the lungs and cause respiratory infections. The inflammation caused by periodontitis can also trigger chemicals that worsen lung inflammation and other lung conditions. Rheumatoid arthritis (RA) is an inflammation of the joints, a condition that causes incredible pain and a loss of function in the extremities. However, studies have shown that tooth loss from gum disease can increase your chances of developing RA. Furthermore, the severity of your periodontitis is predictive of the severity of RA. This is because the joints and the gums share similar tissues. Inflammation of one can lead to inflammation of the other. As research on the mouth-body connection continues, there’s more and more evidence that the key to maintaining a healthy body is to also keep a healthy mouth. Flossing, brushing twice a day, and biannual dental check-ups are good habits that can greatly improve your health regimen. Are you missing teeth due to decay, gum disease or injury? Do you long for a healthy, attractive smile you can share with the world? Are you opting out of fun activities and new opportunities because the appearance of your teeth dents your confidence? Does the condition of your teeth interfere with your ability to eat or speak, causing you to feel insecure on the job or in the company of others? You are far from alone. Dental implant surgery is the single most sought after dental procedure today, and they are the answer to your problem. Implants offer cosmetic, health and performance benefits. Restoring your teeth can rejuvenate your appearance and spirit. Missing teeth puts you at high risk for losing more. Implants aid in keeping remaining teeth from becoming malpositioned or unstable. It can be difficult to maintain a healthy diet with missing teeth or badly-fitted dentures. The frustration that comes with the inability to eat your favorite foods and enjoy special meals affects your quality of life. With implants you will be able to get the nutrition you require and to eat comfortably and confidently. Dental implant surgery is a simple, safe and effective treatment for patients aged late-teens to late-80’s. Implants may be used to replace just one tooth, a bridge or full dentures. Made from titanium, a durable material compatible with human body tissue, implants are placed into the jawbone. Natural bone is stimulated to attach to the implant, locking it in place through a process known as osseointegration, creating a stable foundation for the new teeth. The procedure usually requires two steps: surgical placement of the implant, followed by later placement of the tooth (crown) on top. Duration between each step varies by case. The extent of treatment will determine the best necessary anesthesia for placement. More extensive cases may require general anesthesia. Post-operative discomfort is minimal, often less than a tooth extraction, and is well managed with over-the-counter pain medications. Recovery is usually uncomplicated and brief. Implanted teeth are comfortable and function exactly like natural teeth. You can smile, speak and eat with ease and assurance. Easy to maintain and not subject to decay, care is simple. With effective brushing, flossing and regular check-ups, implants will last a lifetime. In comparison to a dental bridge which lasts between 4 to 12 years, or dentures that typically have to be replaced every 3 to 5 years, implants offer both a financial and practical advantages. You owe it to yourself to consult a professional if your happiness, self-esteem or health are compromised by embarrassing , awkward or unstable teeth. A qualified oral surgeon can evaluate you to determine if you are a good candidate for implant surgery and will answer your questions regarding treatment plan options. Dental implants can help you look happier, healthier and younger. Not only are they the most effective method for restoring missing teeth, dental implant surgery can restore your confidence, sense of well-being, and for sure, your smile! There are currently a number of procedures that a skilled cosmetic dentist may use to highlight the beauty of your smile. For brightening of dingy or discolored teeth, bleaching could be the most effective remedy. Bleaching begins by taking an imprint of your teeth and creating a replica of them. On this replica, a delicate clear rack is designed, which is then packed with a bleaching serum and inserted right on top of your teeth. The bleach-filled rack may be worn for a number of hours throughout the day or in the evening while you’re asleep. Cumulative results will be observed each day. To achieve the optimum effect, the majority of people need to wear the bleaching rack for one or two weeks. In addition, the timing of these effects are affected by the various strengths of bleaching pastes that are available. If your teeth become cracked, chipped or corroded, synthetic composite resins which are bonded to your teeth with a light gun might be an ideal solution. First, your teeth are thoroughly cleaned and imprinted. Then a transparent glue is put on the area that needs to be bonded. After application of the glue, a white bonding substance is put on the tooth. It then permanently solidifies and fuses onto the tooth with a portable white light gun in a process known as photo curing. Bonding creates a natural-looking filling for modest cavities and cracked or chipped enamel, and may additionally be used to bridge gaps between your teeth. It can also be used to cover the whole exterior surface of a tooth to transform its color and appearance. In spite of its versatility, bonding does have its limitations. It might not be sturdy or aesthetic enough for specific individual circumstances. In these instances, the next step is usually porcelain veneers. Sometimes the needs of cosmetic alterations of the teeth cannot be met with simple bonding, and that’s usually when porcelain laminate veneers are considered. Porcelain veneers (also known as laminates) may completely alter the appearance of your smile. Porcelain veneers are easy, pain-free and very noticeable remedies to cosmetic issues. They can transform the color, shape, size and placement of your teeth or any mixture of these elements. They may be provided as a substitution for orthodontic care. Porcelain veneers can be inserted over a couple of visits instead of all at once. The procedure involves first removing a very thin layer of the external tooth surface. An imprint is then obtained of the teeth and delivered to a dental laboratory, where a ceramist creates tiny porcelain laminates that contain the adjustments in size, color, shape and tooth placement that are necessary for an attractive smile. On your next visit, the laminates are permanently applied onto your teeth with a white light gun. The bonding substance works as a kind of glue or putty for the laminates. Porcelain veneers are typically the most favored procedure for remarkable smile reconstructions. If laminates are not feasible due to a lack of available tooth structure, a more powerful refurbishment is necessary, and that usually means porcelain crowns. Pure porcelain crowns are inserted onto a completely prepared tooth and are considered to be the most natural-looking of all crown-related corrections. The procedure involves making a tooth imprint that is delivered to a dental laboratory where a porcelain crown is manufactured. These crowns are inserted into your mouth and permanently bonded onto your teeth. Sometimes pure porcelain crowns are not appropriate. If biting tension is too strong for pure porcelain crowns or there are large spaces between the teeth that need to be bridged, a metal alloy (whether gold or nickel or chromium) is required beneath the porcelain to give it durability. A new study has found that about two out of every five individuals living in the UK have now tried to perform do-it-yourself dentistry, avoiding the local dentist office in an effort to save money. However, by doing this, they often put their dental health in jeopardy. According to a June 19 BT.com report, the survey also found that about 10% of men had even tried to remove a tooth themselves, with 5% of women saying the same. Oasis Dental Care, the group that conducted the survey, revealed that of the 38% of individuals who had tried to perform a dental procedure on themselves, 26% said they felt they didn’t need to see a dentist and 25% said they couldn’t afford to see a dentist. What is bruxism? This dental health concern is more often called teeth grinding, and it’s the act of clenching one’s jaw tightly and/or grinding the teeth together. People typically grind their teeth at night, and many people don’t even realize that they have the problem at all.